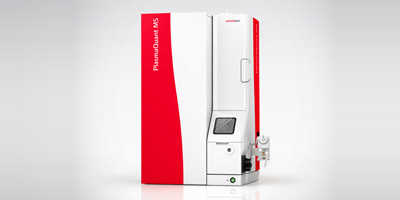 PlasmaQuant MS is a mass spectrometer with integrated collision reaction cell technology and all-digital detection system. PlasmaQuant MS is the universal workhorse for a wide range of applications in routine analysis. It offers cost-effective and efficient analysis in environmental monitoring, food safety, quality control of pharmaceuticals and nutraceuticals, agriculture, chemicals, and petrochemicals. PlasmaQuant® MS is the universal workhorse for a wide range of applications in routine Analysis, e.g. in environmental monitoring, food safety, quality control of pharmaceuticals and nutraceuticals, agriculture, chemicals and petrochemicals. Watch our new video on changing cones on a PlasmaQuant® MS ICP-MS. The step-by-step tutorial shows how easy it is to change cones on this ICP-MS instrument: The replacement of cones is a simple maintenance that ensures fast return to operation and thus high productivity and maintaining the exceptional performance of the system. The video furthermore describes how to easily replace extraction lenses. No reviews were found for PlasmaQuant - Model MS - Mass Spectrometer. Be the first to review!